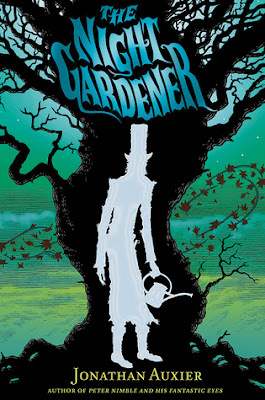 The Night Gardener had been sitting on my to-read list for a couple of years, but it quickly got bumped up to the top after Aaron and I read Peter Nimble and His Fantastic Eyes earlier this year and I fell in love with Jonathan Auxier's style of storytelling. I knew it would make a perfect October read so I held off for a few months, but as soon as the calendar turned, I checked it out. I had a stack of other books pressing for my attention, and so when I finally had time for it, it was nearing the end of the month. I considered just returning it to the library and waiting another year, but then I thought, No! 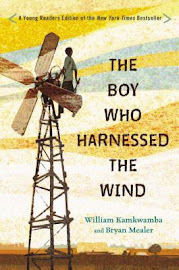 This is the one book I really wanted to read this month, and so who cares if there are only a couple of days left in it? And so read it I did. And was it spooky? Yes. And chilling? Yes. And just downright creepy? Yes. This book was made for October, and I'm so glad I squeezed it in. Molly and Kip are orphans. Or at least, they're without parents. Kip thinks they're off on an adventure at sea, but Molly seems to know better. At any rate, she has suddenly become the official provider of the family, and she feels the heavy weight of it. The only job she can find is as a maid/cook/nanny for the Windsor family. They live in an old estate in the sourwoods, and everyone in the village gives them a very wide berth. The place is steeped in mystery and rumors and legends, and Molly has a hard time getting information from anyone (and what little she gets makes her want to run for the hills). Still, a job is a job, and she's desperate. Within hours of their arrival, it's obvious to both Kip and Molly that there's a reason everyone is afraid of this place. A gigantic tree twists itself around the house and penetrates every room. Master and Mistress Windsor and their two children are deathly pale and cold. There's a mysterious green door at the top of the stairs that Molly is forbidden to enter. And, worst of all, there are muddy footprints and traces of leaves that randomly appear every morning, and sometimes Molly gets the distinct impression that there's someone in the house at night, maybe even in her room. After several weeks, Molly is ready to take her brother and flee when she suddenly finds a reason to stay . . . Besides wanting to read this book myself, I was also reading it with the intention of scoping it out for Aaron. And what I came away deciding is that at some point he should read it because I think he'll like it, but that time is still at least two, maybe three, years away. 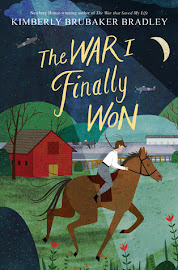 In terms of the tone and overall feeling of the story, I would compare it to Laura Amy Schlitz's Splendors and Glooms or Neil Gaiman's The Graveyard Book, both of which, although written for a middle grade audience, seem most appropriate for the older end of that group. In the case of The Night Gardener, a certain darkness pervades the entire book. It's always there, lurking, and as more and more is revealed, it becomes even more horrifying. There were evenings when I was reading it when it scared me enough that I was glad Mike was at home. Then again, I'm a wimp, so I do tend to have a low tolerance for scary things (hence, I read children's suspense novels when I'm in the mood for something spooky and don't venture into the adult equivalents). That said, I really liked this book, and there were three themes in particular that, in my eyes at least, elevated it from just a creepy story to something of real merit. The first of these themes was that of fear. At the beginning of the story, as Molly and Kip are making their way to the sourwoods, they come across an old woman named Hester Kettle. She is heavy laden with all sorts of contraptions and wares and seems to know a great deal about the goings-on of everyone in the country. In fact, she makes her living by sharing the stories she's picked up over the years. Molly and Kip are hesitant to trust her, but later on, Kip is desperate to make sense of what he's seeing in the Windsor's home, so the next time he sees Hester Kettle, he asks her to tell him what she knows. Hester says, "I'm not sure your sister would appreciate me frightening you." And Kip responds, "I ain't afraid. Well, I am afraid...but I'm not afraid of being afraid. If that makes sense. True is still true, even if it's bad. That means I want to hear it." I think there's a lot of truth in this bold statement of Kip's. First, he acknowledges his fear but separates that from the actual feeling of fear. Turns out, there's a difference. Fear should propel us to action, not make us cower in the corner, and Kip's fear was of the first variety. The second part of Kip's statement is about truth. He realizes the truth isn't always pretty or happy but knows that the only way to fix anything is by confronting the truth head on, ugliness and scariness and all. After Kip assures Hester Kettle that he knows what he's getting into, she gives a satisfied nod and says, "Your sister raised you up right." The second theme is that of contentment. All of the main characters in the story want something: Master Windsor wants money to cover his debts, Mistress Windsor wants her marriage to be restored to what it was when they were newlyweds, Molly wants her parents back. Without giving too much away, Molly soon finds out that the tree has the power to grant all of their deepest wishes, but it comes with a terrible price. Kip is really the only one not fooled, even though he also has something he wants very much--to be able to walk and run and work and play like other little boys, something that is currently impossible with his crippled leg. But when he's given the chance to get his wish, he resists. Later when he's talking to Molly, he admits that he wanted to open the packet that contained the cure, but he didn't because "even if it works, what happens when I run out? I'd go back for more. And more after that. It'd never be enough." And I think that's the way it is with everything, whether it's controlled by magic or not. We have to be content with what we have right now because there will always be another upgrade, a bigger home, a nicer car. That's not to say we can't improve our lives or our situation, but we can't wait for things to happen before we'll be happy. We have to find happiness and contentment in whatever our current situation is. And finally, there's the theme of redemption. The Windsors have two children, Penny and Alistair. Penny is a sweet child who longs to be loved and has an enchanting imagination. Alistair, on the other hand, is rude and piggish and just downright mean. He especially picks on Kip because he is disabled and can't stand up to him very easily. At one point, he does something so cruel, my heart just wanted to break. However, towards the end of the story, he's given an opportunity to change and become a different person, and he takes it. It's hard for Kip to grant him that grace and, quite frankly, it's hard for the reader to grant it as well. But it's amazing the healing that takes place for everyone involved when real forgiveness is extended. If you can't tell from the three examples given above, Kip's kind of the hero of the story. I loved that boy. Oh, and one final note before I sign off. This book should not be confused with the brand new picture book of the same name. Where this one is dark and scary and slightly disturbing, that one is sweet and magical and uplifting. I would save this one for kids at least 10 years old and older, but the picture book could be shared with your smallest, most innocent children. P.S. 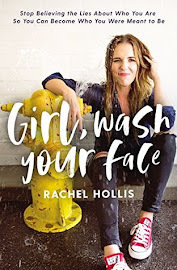 Coincidentally, my friend, Linnae, posted a review of this book just a few days ago. I had fun reading her thoughts, and since we posted our reviews so close together, it was the next best thing to discussing it in person! Have you read this book? I'd love to hear what you thought of it in the comments! Plus, your quote from Kip is perfect and dovetails with what I was thinking about too--it's not the truth I want my kids to shy away from, but darkness for its own sake. Do you mind if I link to your review from mine?